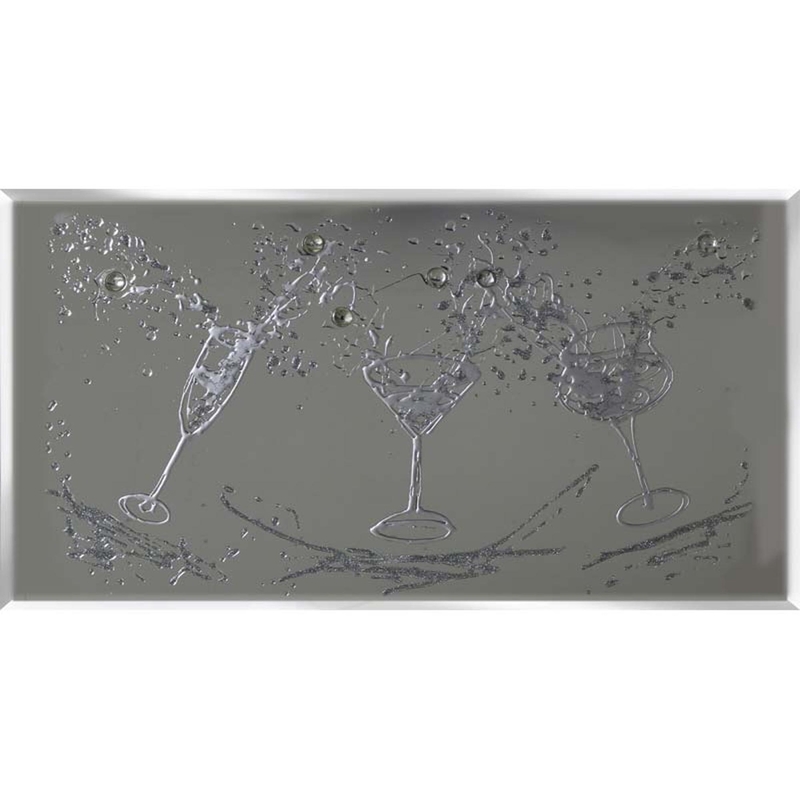 This piece is perfect too add excitement and style to any eating or drinking area, a celebratory design perfect for any home. Hand finished in the UK this piece has 2cm bevelled edge black panel on 18mm flocked backing and comes with attached brackets. If you don't want our set size you can also custom size your purchase. This eye-catching chic piece will not fail to impress.